"Who Killed Little Johnny Gill?" A Heart-Wrenching British Murder Story covering the True Murder of Young John Gill in Yorkshire,1888. This well-written, true story transports you back to the Victorian Times where McMaster skilfully brings to life the people and the city of Bradford, England presenting a fictionalised account of the events based on documents and trial transcripts. The crime affects the parents deeply, but the ripple effect it has throughout the town is palpable. 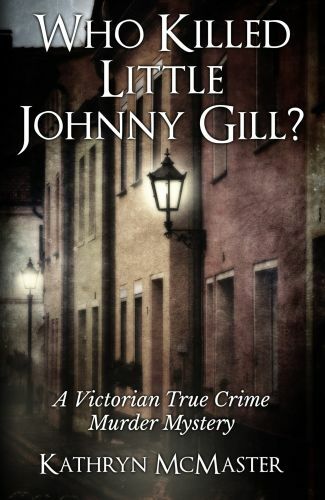 As this bizarre child murder case unfolds, and when the injuries are revealed, John Gill's mutilations are thought to be the work of Jack the Ripper. Is it Jack or is it someone much closer to home? Do they have the right suspect or is he completely innocent? Circumstantial evidence is mounting but hard evidence, there is none. McMaster's English crime fiction novel is a Conan Arthur Doyle meets Kate Summerscale. It's a fascinating murder mystery that will take you on a roller-coaster of emotions until the very last page. If you are looking for a page-turner for some summer reading, you won't be disappointed. This book is written in British English.